With the exit of Joel Robuchon, is there a restaurant worthy of the coveted three stars? 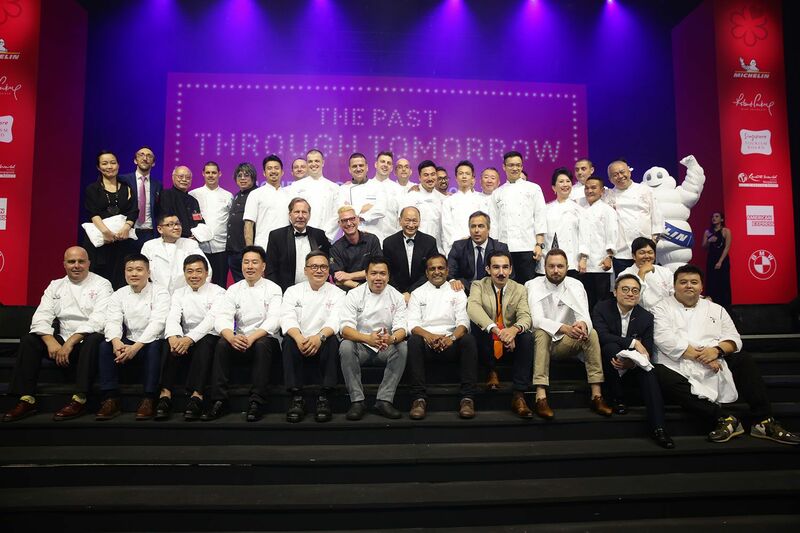 The excitement leading up to the launch of this year's editon of The Michelin Guide Singapore, tonight (July 25) at the glitzy ceremony held at the Resorts World Sentosa, is understandable. Many were wondering what changes the results would reveal, given that top establishments have shuttered for good—L’Atelier de Joel Robuchon and Restaurant Andre, both of which had two stars, and Joel Robuchon, the only one that had kept its three stars since the guide debuted in 2016. Society friend Marilyn Lum says that they are dearly missed, but she is “definitely excited to see who steps up in Singapore’s dynamic culinary landscape to be the next superstar”. Raymond Lim, founder of boutique F&B lifestyle agency Restaurant Lifestyle Asia, agrees, but admits that it’s the hawker scene that has changed a lot. Two stalls in 2016 were given one star each—Hill Street Tai Hwa Pork Noodle and Liao Fan Hong Kong Soya Sauce Chicken Rice & Noodle, which, in partnership with the Hersing Culinary, has expanded his brand with another outlet on Smith Street. Both have maintained their stars for three consecutive years. Lim adds, “Maybe Michelin will be the answer to save our hawker scene from dying as youngsters see that one can become a hawker, and a famous one at that!” It also begs the question: will we see more hawker stalls joining the ranks this year? That said, there were no new additions this year. Will Odette’s Julien Royer Open Another French Restaurant In Singapore? There were also a few contenders in the fine dining category with true star potential, such as chef Ivan Brehm’s Nouri, which continues to win many fans over with his imaginative “crossroads cooking”. Lum shares, “I am secretly rooting for Nouri; it has all the qualities you would expect from a Michelin-starred establishment.” She and its many fans will be glad to know The Michelin Guide Singapore recognised it too, as Brehm's Nouri bagged one star. A surprise new entry is Four Seasons Hotel Singapore's Jiang-Nan Chun, whose Chinese executive chef Tim Lam joined only in November last year. What about the restaurant which will rise up the ranks to attain three stars? Lim thinks that “Odette is ready for that accolade, and so is stalwart Les Amis”, but also hopes that a Chinese restaurant will also be given due credit. However, no restaurant matched Joel Robuchon's achievement this year.